The United States House of Representatives passed a resolution today saluting the late Bob Sheppard for his service as a public address announcer and a speech professor. Sponsored by New York’s Rep. Carolyn McCarthy, the measure resembles those frequently passed by the House to honor prominent Americans who have recently passed away. 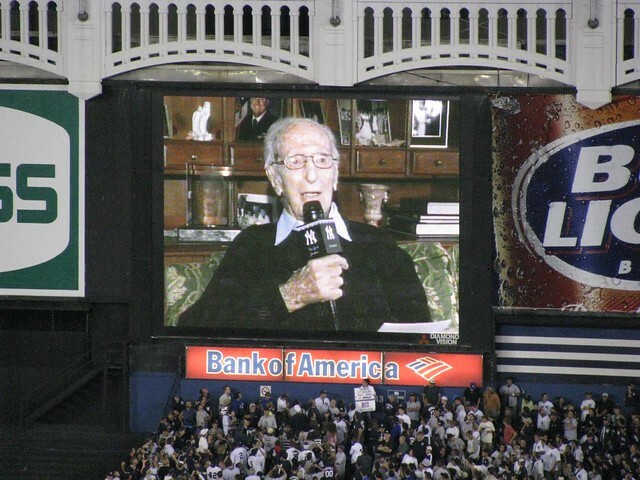 The short bill, which I’ve embedded below, commends how “Bob Sheppard’s clear, distinctive voice has set the standard of sports announcing, and has become ingrained in the fans and players as a widely recognized and revered Yankees tradition.” Sheppard’s moniker — the Voice of God — has now been forever memorialized in the Congressional record.